Thank you so much Diane Calder for your wonderful review of The Sharing Project show at the UAM in ArtScene!!! I really appreciate it!!! 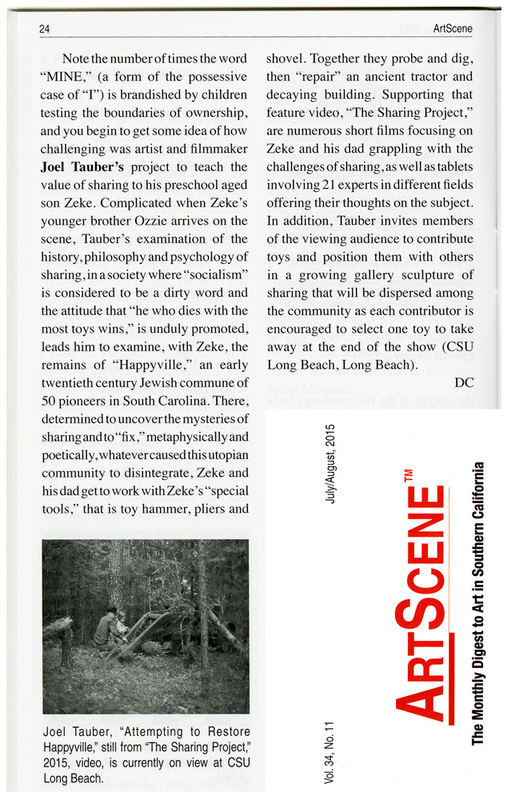 This entry was posted in Updates and tagged ArtScene, Diane Calder, Joel Tauber, the sharing project, University Art Museum at Cal State Long Beach on July 2, 2015 by Joel Tauber.